We can't be more thrilled with our new partnership.Since Little Slice Ranch has moved to Lorane Oregon we have partnered with A Slice of Life Photography. When we saw the name of her business, we knew it was destiny! The combination of her beautiful whimsical and fantasy filled photos combined with the picturesque atmosphere of the Ranch creates artwork that cannot be matched. We begin booking photo shoots in the spring, and they begin in early summer. Sessions choices include Fairy/Unicorn, Cowboy/Cowgirl, English tea party, and this years specialty of Circus. The circus theme can be either bright and colorful, or the surreal vintage version. Costumes are available in most sizes, or you can create and bring your own masterpiece. Create a theme bedroom for your child with them as the star attraction, or simply enjoy a portrait for your living room wall. Either way, these portraits can not be beat for creativity and originality. For more information and booking, see our partners page and follow the link for A Slice of Life Photography. We are so pleased to announce that ﻿Dazzling Pony Parties﻿ has been invited to the Light of Liberty Celebration hosted by Springfield Utility Board! The Celebration takes place at Island Park in Springfield Oregon. Gates open at 4 pm, music starts at 5 pm. Fireworks start at 10 pm.Advance tickets will be $5 at SUB's main office or Jerry's Home Improvement Centers, beginning Monday, June 23rd, and $7 at the gate. Children 5 and under get in free, as well as Springfield veterans and immediate families of active Springfield military (spouse and children, up to 4 tickets). 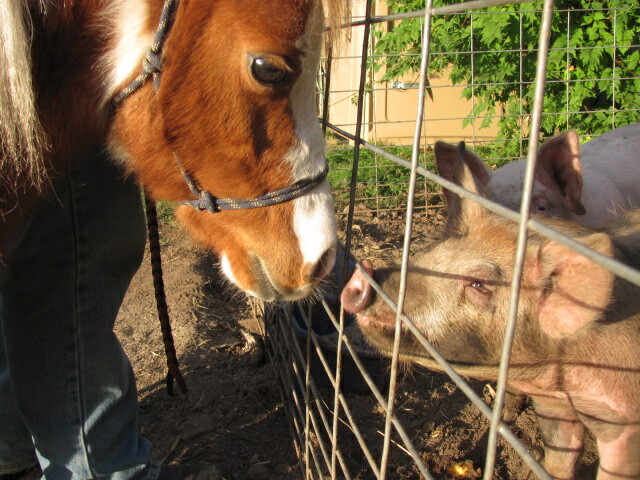 There will be no additional charge for the pony rides! 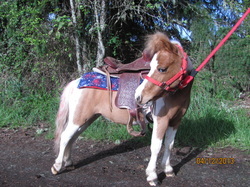 Weight limit for our ponies is 70 lbs, and Parental signature is required. We will be there from 4:00 pm to 8:00 p.m, so come early and enjoy the activities. We look forward to seeing you! Christmas Reindeer are back in town! Time for thoughts of Turkey and getting out that Christmas Tree are just days away!. Dazzling Pony Parties is proud to announce the return of the Reindeer! This year we will be at Carroll's Country Christmas Trees in Veneta. They are Located at 26260 Perkins Road. We will be there every Saturday and Sunday from 10:00-2:00. They are a wonderful family oriented farm with all the fixins! You may even catch a glimps of the jolly old elf himself! And don't forget to come out for the Annual Light Parade this season. This year Dazzling Pony Parties will be handing out candy to the young ones as well as a few free tickets for a reindeer ride! 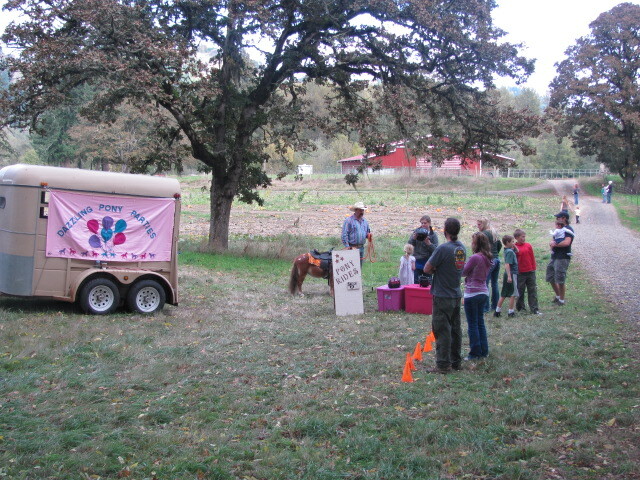 Dazzling Pony Parties will be at the Norther Lights Christmas Tree Farm every weekend in October! They are located at 36777 Wheeler Road in Pleasant Hill. It is an amazing place to celebrate fall. During Colonial Harvest Days, children can pick pumpkins, climb on a life size Mayflower made out of hay, and get up close and personal with cows, chickens, pigs and goats. There are educational exhibits with owls and spiders, entertainment, a gift shop, and yummy snacks! Come out and make a day of it. Top off the day with a pony ride! It will be a day to remember! Torrie Thompson is a Certified Veterinary Technician, and Owner/Handler/Trainer for Dazzling Pony Parties. She is a mother of 5 and Grandmother of 4 (soon to be 5) Grandbabies.